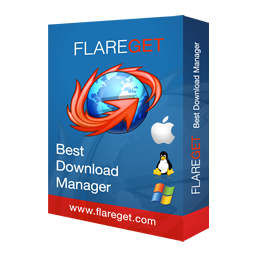 Download FlareGet for Windows XP/Vista/7/8/10. Download FlareGet for Mac OS X 10.7 and above. Download FlareGet for Ubuntu, Linux Mint and other Debian based Linux distributions. Download FlareGet for Fedora, OpenSuse and other RPM based Linux distributions. Download FlareGet for Arch Linux, Chakra Linux and other Pacman based Linux distributions. FTP support is limited. Only single threaded download is supported, with no resume and proxy support.